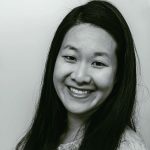 Published Feb 4, 2019 By Julia 1 CommentThis post may contain affiliate links. 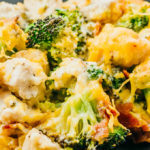 This is an easy recipe for chicken cordon bleu casserole that’s low carb and keto friendly. It’s a comforting meal consisting of chicken, ham, and cheese mixed with a rich and creamy sauce. Cordon bleu is a Swiss dish where meat-wrapped cheese is breaded and fried. The meat can be pork, veal, or chicken, and it’s usually pounded thin to make it easier to wrap. The term cordon bleu means “blue ribbon” in French, referring to a ribbon worn by members belonging to the highest order of knighthood. In the culinary sense, it’s likely referring to exceptional food prepared to a high standard. 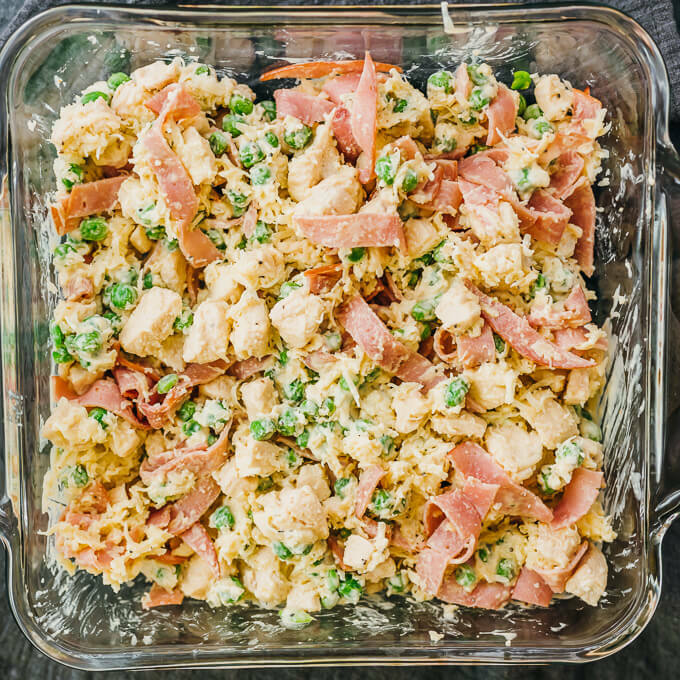 There are a lot of variations of this dish, and mine is a convenient casserole version with boneless chicken breast pieces and strips of sliced ham. No breading or frying. The meat is mixed with peas, shredded cheese, and a lovely cream sauce with a slight mustard flavor (borrowed from my roasted pork tenderloin recipe). The chicken breasts should be cut into small pieces, about 1/2 inch chunks, so that they can be spread more uniformly throughout the casserole. This also reduces the chance that you’ll eat a bite of casserole that’s entirely chicken. It may save a bit of prep time to buy chicken breasts that are not whole but instead are thinly sliced, which are often labeled as “cutlets” or “tenders” in grocery stores. Then you’ll only have to cut the chicken in two dimensions instead of three. This will also help ensure that your resulting chicken pieces are not too thick. If you have frozen chicken, it should be completely thawed before using in this recipe. If you have pre-cooked chicken, that’s a great time saver. Cut it into small pieces and add them directly to the casserole. I use deli-style ham that’s been pre-sliced, which can be found in the refrigerated section of your grocery store next to other sandwich meats. Swiss and cheddar cheeses can be pre-shredded or freshly shredded. The parmesan cheese is the finely grated kind with a sand-like texture, not shredded. 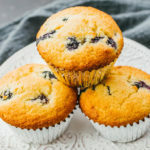 In the recipe below, I provide weight measurements in ounces as well as approximate volume estimates in cups in parentheses. I always cook by weight because it produces more consistent results. 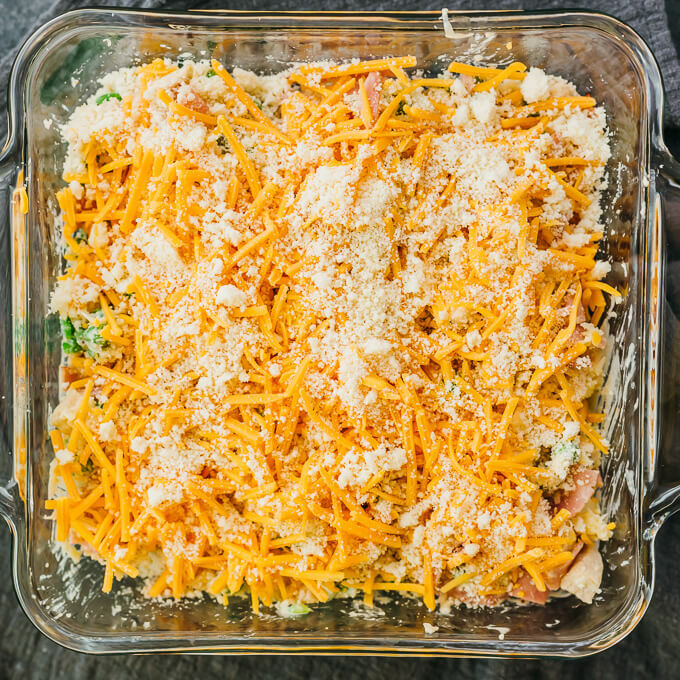 This recipe yields a relatively thin casserole that measures 8×8 inches. It divides into four square servings that are sized as dinner portions. The casserole will be very hot coming out of the oven, and it’s easiest to cut into it after it’s cooled down for about 10 minutes. 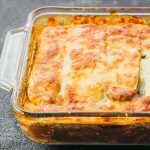 The individual casserole servings will also keep their shape and hold together better after they have cooled a bit. 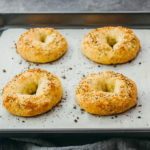 Ideas for accompanying side dishes include salads, biscuits, mashed cauliflower, roasted vegetables like mushrooms and brussels sprouts, and sauteed greens like creamed spinach. 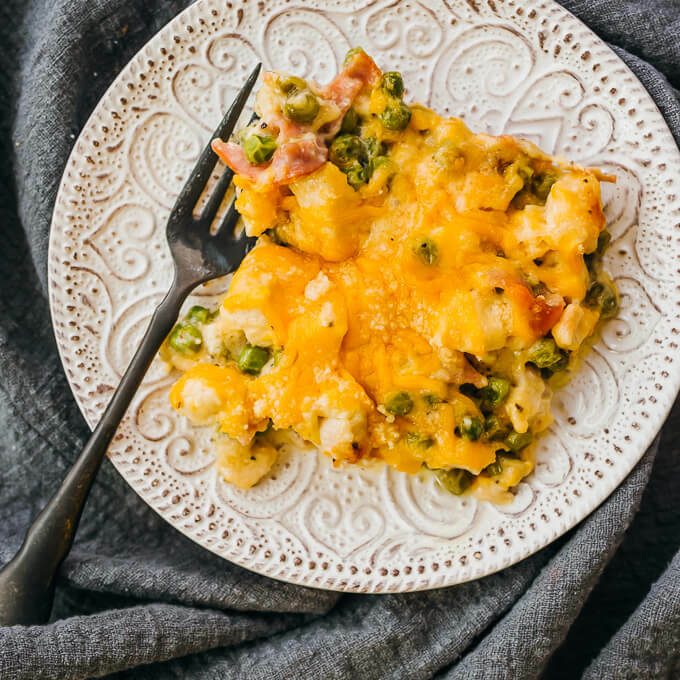 This is an easy recipe for chicken cordon bleu casserole that's low carb and keto friendly. 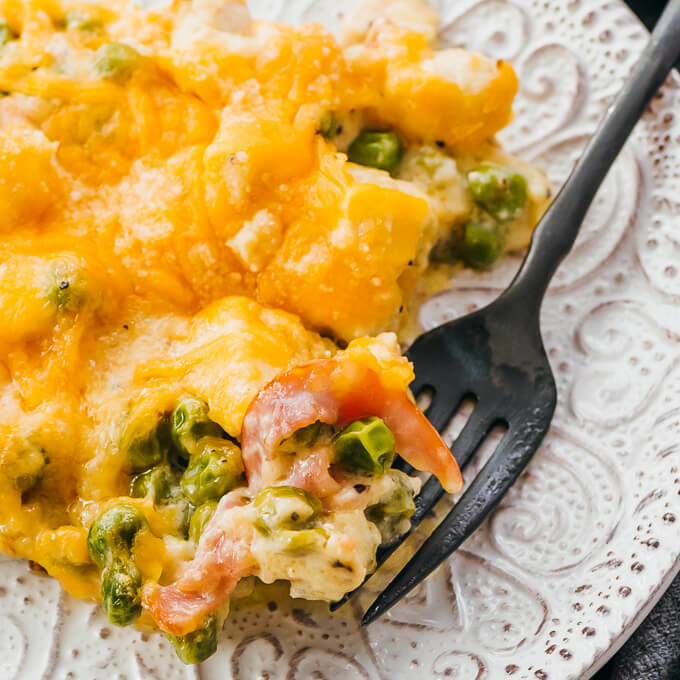 It's a comforting meal consisting of chicken, ham, and cheese mixed with a delicious creamy sauce. Cut the chicken into 1/2-inch pieces, and cut the ham into 1/2-inch strips. Pat both dry with paper towels if wet. Distribute the ham in the baking dish. Cook the chicken pieces in a large pan over medium heat until cooked through. Use a slotted spoon to transfer only the chicken to the baking dish, leaving any liquid in the pan. In a small saucepan, add all mustard sauce ingredients. Stir together over medium heat. Once it starts to simmer, turn off the heat. 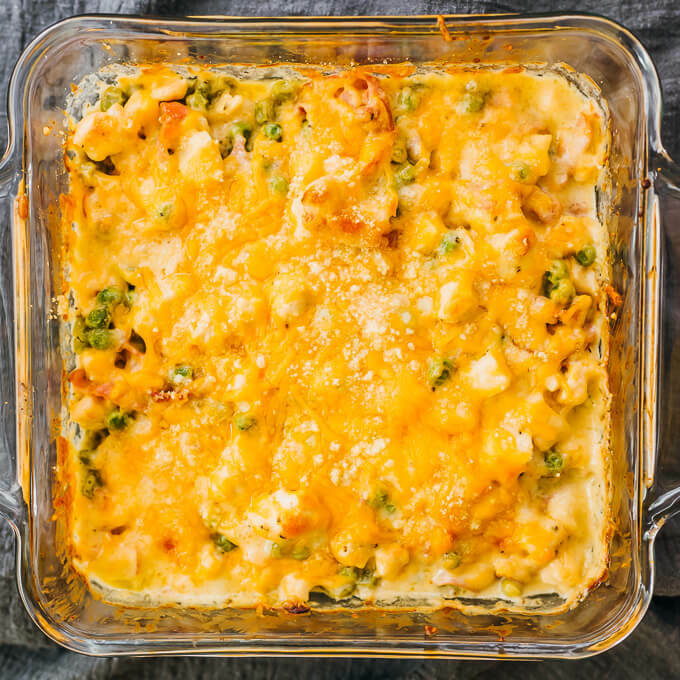 Distribute swiss cheese, peas, and sauce in the baking dish. Use a spatula to scrape down the saucepan to get every last bit of the creamy goodness. Stir everything directly in the dish until well-mixed. Evenly top with cheddar cheese. Sprinkle parmesan cheese on top. Bake at 375 F until heated through and starting to brown on top, about 30 minutes. Let it cool for at least 10 minutes before cutting into it. 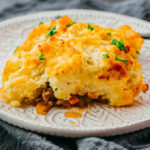 This recipe yields 4.5 g net carbs per serving (quarter of an 8x8-inch casserole or 1/4th of the recipe). This was delicious and easy to make. To save dishes, I used the same small skillet to make the sauce that I had just cooked the chicken in. I used sharp cheddar because it’s what I had. Next time, I’ll use medium cheddar. 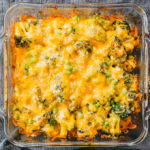 If you have a family member who isn’t interested or doesn’t need low carb, a small serving of egg noodles added to a serving of this casserole would be delicious, though I was perfectly happy with the casserole alone. It is also very filling.